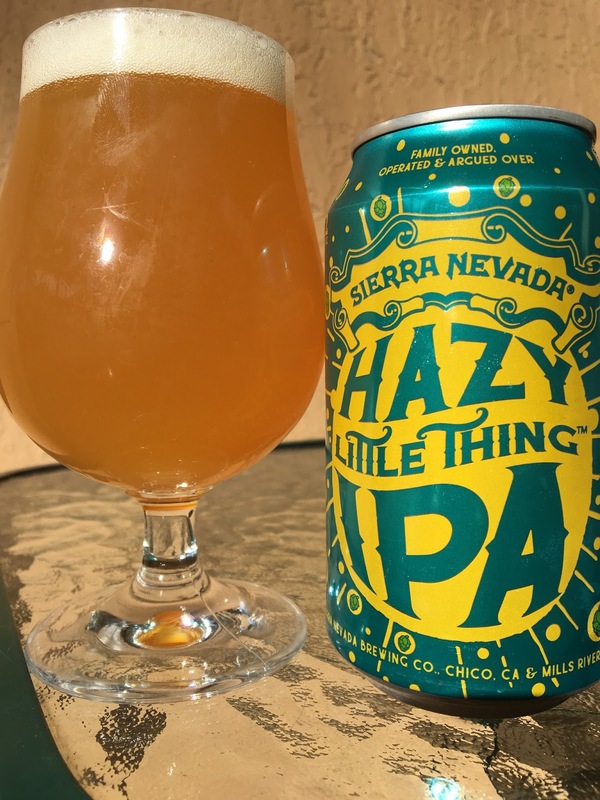 I saw a boxed six pack of Sierra Nevada Hazy Little Thing IPA a few weeks ago at my local liquor store. Instead of breaking out one beer, which I usually do, I took the whole box home. Duh, this is Sierra Nevada! As the story goes, the brewery decided after tasting this beer directly from the tanks, that it needed nothing more. So they canned it straight from the tanks on 12/05/17. Drink 01/06/18. 6.7% alcohol. Fruity orange aroma, lightly tropical. Orange and lemon citrus flavors come first. While candied sweetness starts, it is met with some spicy, grassy citrus rind and bite. Juicy, nicely balanced. Honestly, while the flavor was very nice, it seemed a little "Plain Jane," especially for this brewery. "Unfiltered Hop Bomb"??? --->>> NO WAY!!! Let me know what you think.